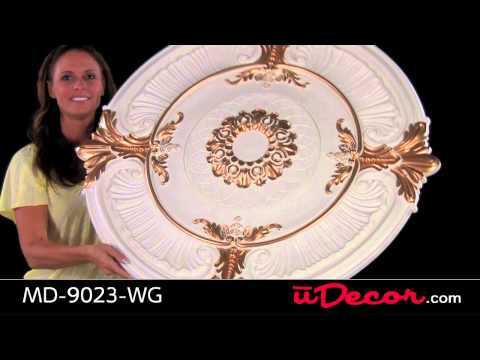 The MD-9023 Golden Highlight Ceiling Medallion is 40" in diameter and has a depth of 3". It's in the ceiling of our home theater. Always gets compliments. The delivery was very fast! It looks great! I love it! I would refer Udecor to everyone! I love udecor products!